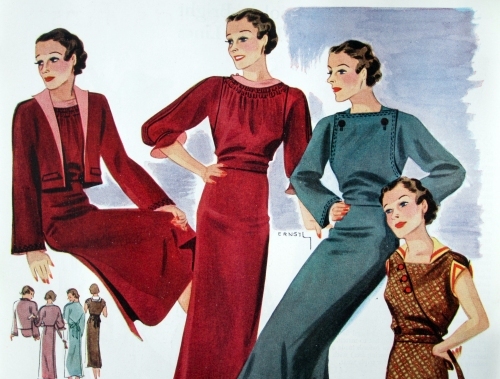 I look at those slim 1930s hips, those flat 1930s bellies, and, even after reading the full text, it’s hard to imagine how these dresses expanded to cover the ninth month of pregnancy. However, it’s important to remember that women did try to conceal their pregnancies as long as possible in this time period. 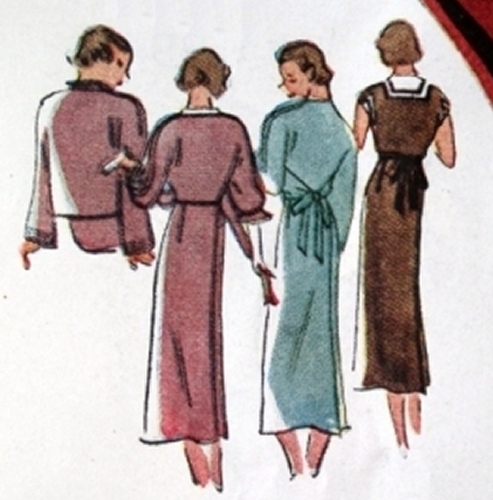 This 1934 catalog from the Lane Bryant company, which had pioneered maternity clothing in 1904, shows that Companion-Butterick patterns were not alone in designing clothes which expanded only from the back and tried to look as much as possible like normal fashions for as long as possible. “Designed to conceal condition. 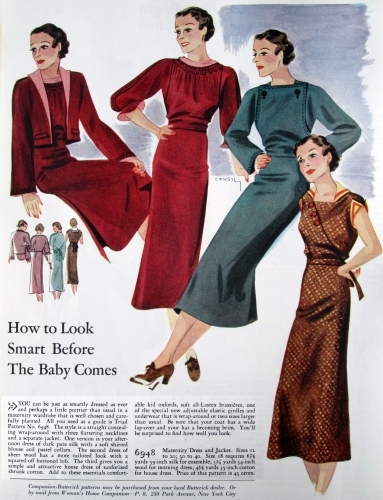 . . .” Fashion-incubator.com discusses the early Lane Bryant Maternity catalogs and how they handled sizing — ingeniously!